This week marks the fourth annual International Day of the Girl Child. When we ask women and girls what they want from education, one theme comes through loud and clear -- "progress." They might not use that word, but when the mum talks of her little girl being able to read the books she was never able to, when the teenager dreams of being the first in her family to go to university, and when the young woman refuses to see a glass ceiling to her career... that is progress. Progress for each of them, and ultimately for all of us. 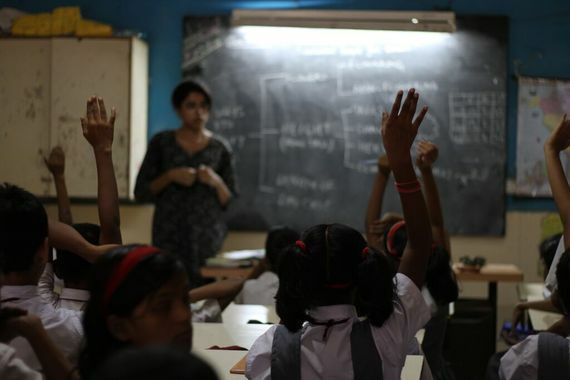 Gender inequality starts with the 31 million girls who are denied their right to an education. An education that literally saves lives. A child born in Sub-Saharan Africa whose mother can read is 50% more likely to survive past the age of five. It's one of the reasons why Pearson has convened Project Literacy, a campaign to eradicate illiteracy worldwide. It's why we're also working with Camfed to train 5,000 female 'Learner Guides' in Ghana, Tanzania and Zimbabwe, who are not just securing their own futures, but are shaping the lives of girls who may otherwise be the next forgotten ones. And why we recently invested in Sudiksha, a start-up that recruits local women to manage low-cost schools serving some of India's poorest communities. We are proud of these initiatives, but we also know that they only scratch the surface of the challenge. The world needs to take a massive wrecking ball to the problem. And that requires companies, governments, non-profit organisations, and entrepreneurs to lend their weight. More money of course is needed but we also need the expertise that makes sure that money is invested wisely. And when private and public sectors join forces come together we know it can have lasting impact. When 276 schoolgirls were kidnapped by Boko Haram last year, the world was outraged. But perhaps as outrageous was how quickly we forgot about them. When the media moved on to the next story, we all too easily moved along with them. But behind the scenes, things were getting done. The Global Business Coalition for Education (GBC-Education) -- with support from the United Nations, A World at School, the Nigerian Government and international donors -- created the Safe Schools Initiative. As a result 2,400 of the most at-risk girls from the three states hit hardest by Boko Haram have been enrolled in safer schools. That's what can happen when corporate clout, political power, and education know-how come together. We're really proud to be members of the GBC-Education, and to have contributed to their new "The Journey of a Girl" report explaining how corporations can, and should, invest in girls' education. The collective efforts of GBCE members currently reach 6 million girls worldwide. It could -- it must -- be so many more. 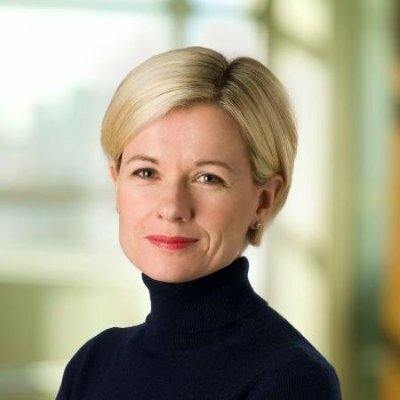 Kate James joined Pearson as Chief Corporate Affairs Officer in 2014. A member of the Pearson Executive she overseas communications, government relations, the Pearson brand, investor relations and the company's social impact work. Before joining Pearson, Kate was Chief Communications Officer at the Bill and Melinda Gates Foundation. She has also previously worked in the financial services industry, engaged in communications and public affairs with both Citibank and Standard Chartered Bank. Read more: Commissioned by the Global Business Coalition for Education (GBC-Education), The Journey of a Girl: Opportunities for Business Investment in Girls' Education is a working paper that maps out barriers to education along the journey of a girl and identifies where and when businesses should invest to maximize the greatest social return.